We are so happy and pleased to kick off our new wedding season for 2018! 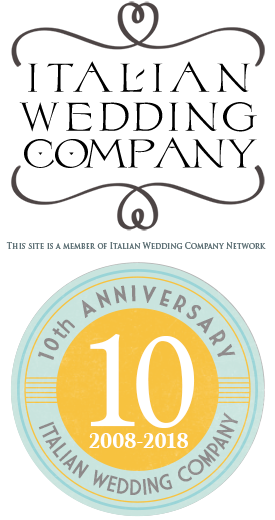 As you all know this is a very special year for us as we are celebrating 10 years of our company! On this special year, it is really exciting to be back to tell you our stories of destination weddings we planned all over Italy. 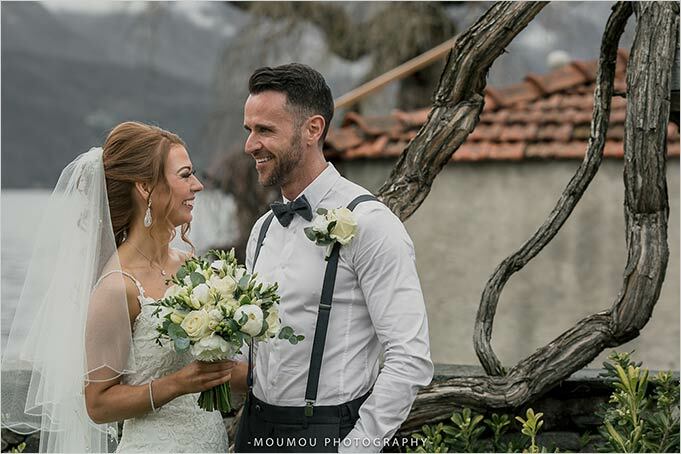 In this post you will find our just married couples for April and May 2018, the very first weddings of the season and more to come! So keep on following us to through the end of the season. 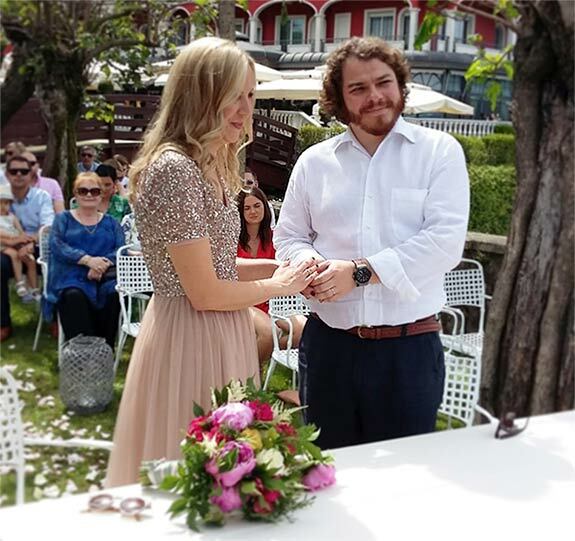 Read more below for wedding we planned on Lake Orta, Lake Maggiore, Lake Como, Lake Garda, Langhe – Piemonte Countryside and Rome. And stay tuned for next months as we will be back with more weddings on more Italian destinations! 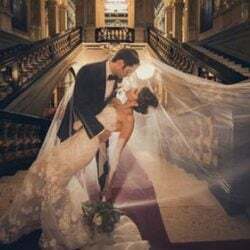 We start our just married overview with April weddings. 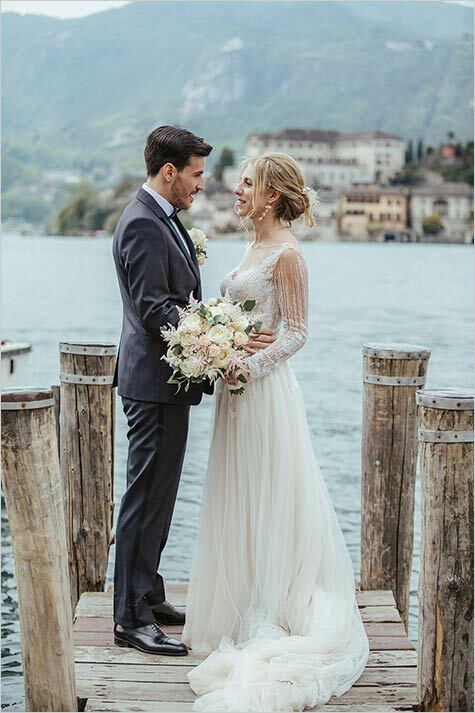 Our planner Valentina opened the season with Eimear and Micheal’s wedding on Lake Maggiore on April 6th. A wide group of more than 170 guests came from Ireland, Australia and UK to celebrate. Eimear really got style! She had lovely bridesmaids in unusual jumpsuit outfit and lovely green and deep burgundy colors. Eiemar and Micheal tied the knot at the church on Isola Bella on Borromeo Islands with a Roman Catholic ceremony. 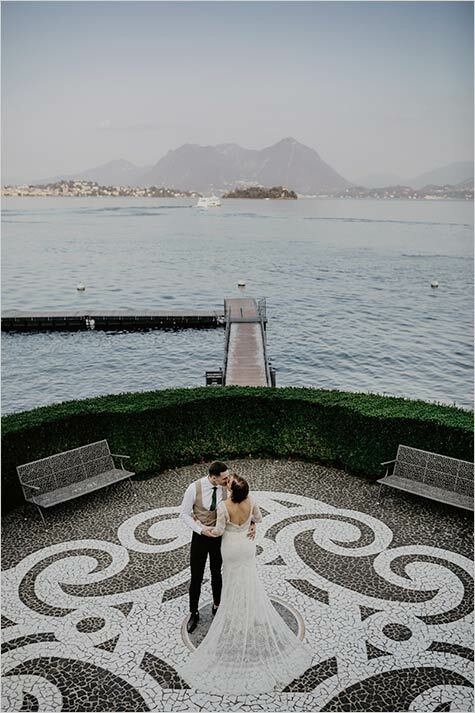 Reception to follow was planned in Baveno in one of the most beautiful hotels on the shores. They parted up to late at night with a great swing band and a dj set to follow. We move then to Lake Orta for another wedding Valentina planned for us. Suzi and David got married on April 13th. 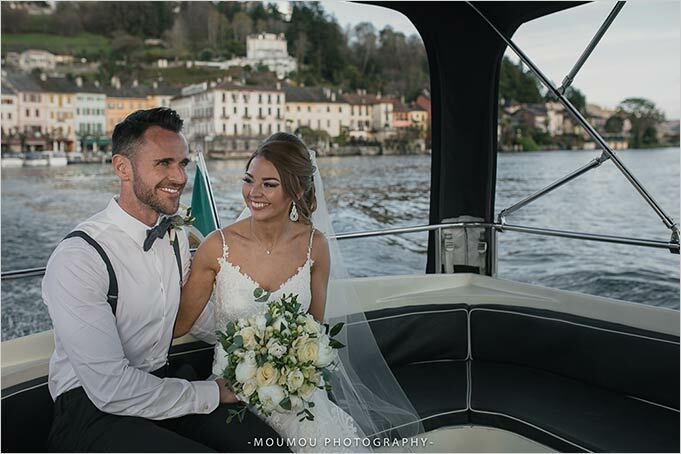 A lovely sweet couple for a fun wedding on romantic Lake Orta. 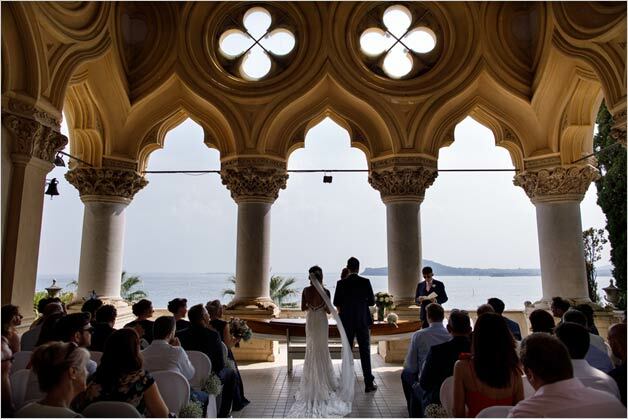 Legal civil ceremony was planned at Villa Bossi indoor. After the ceremony a lovely toast in the main square and then a wonderful boat trip on the Lake to reach Ustaria Ca dal Rat for a great party with dj set. 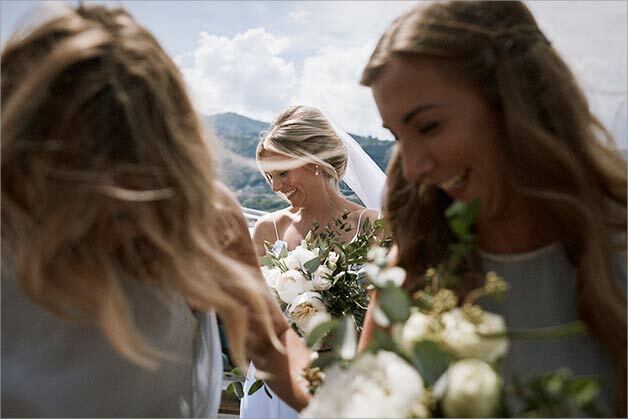 Suzi had a romantic all white bridal bouquet and her bridesmaids wore light blue as lake waters. Table centrepieces where tall ones in big glass vases and table decor and stationary was all made with chalk boards and wood. Not to forget special Limoncello favours they offered to their guests! They also planned a lovely candy bar and cigar bar at the venue as special touch to the reception. 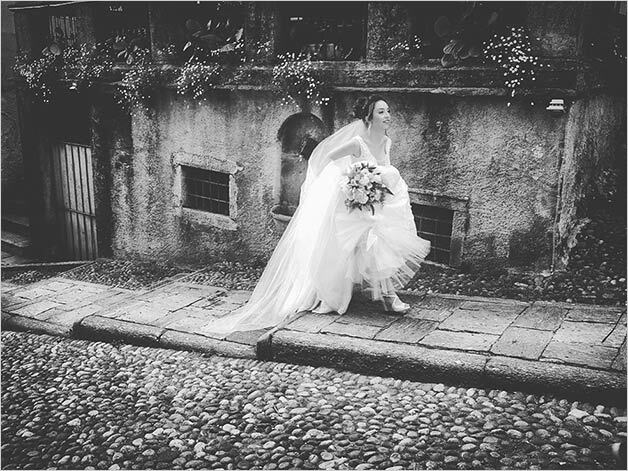 La Piccola Selva floral designer followed another lovely wedding on Lake Orta on 14th April. 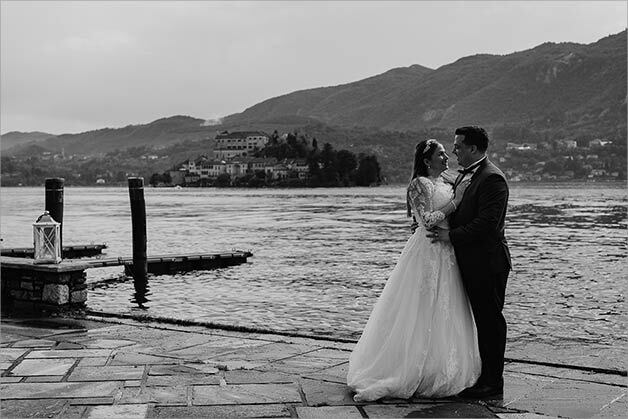 As the matter of fact bride and groom are a lovely couple who live and work on Lake Orta itself! 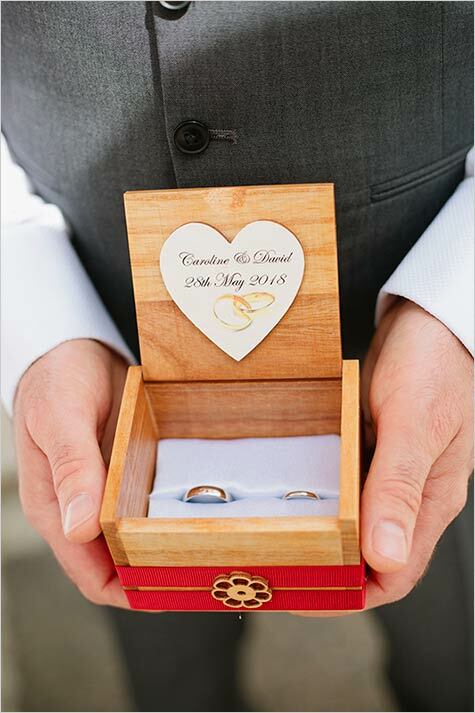 We are very honoured to feature this wedding on our pages! Cristina and Marco our made in Orta tied the knot at Church of Maria Assunta in Orta. Some of you may know Cristina and Marco, they work at Caffé da Albino in Piazzetta Ragazzoni in Orta village! 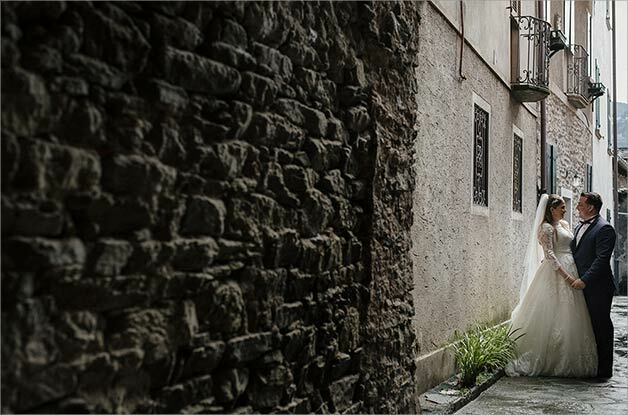 For their reception they chose Hotel Leon d’Oro in the main square of Orta. La Piccola Selva floral designer created decorations for ceremony at the church and at the reception. Bridal bouquet perfectly matched bridal dress. 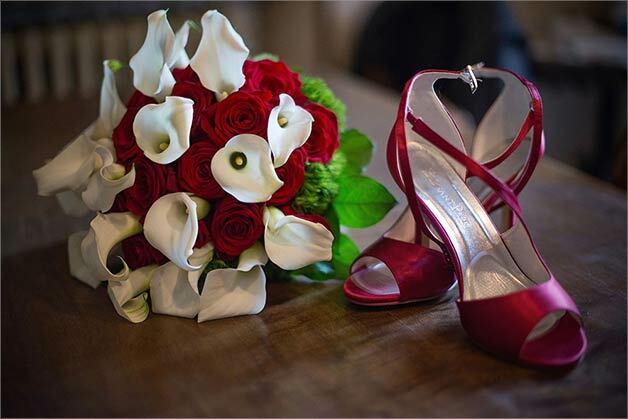 It was all made with white calla lilies and red roses. 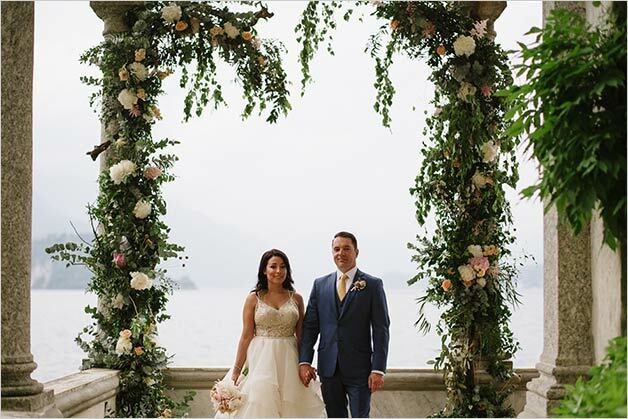 And we move to the end of April for another Italian couple who chose Lake Orta and La Piccola Selva floral designer for their wedding. 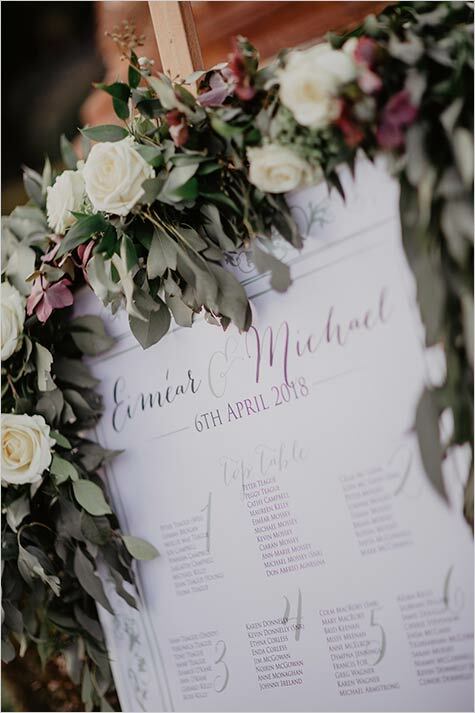 On 29th April Elena and Matteo chose a civil ceremony at Villa Bossi and for their reception they opted for a brand new venue: Lido di Gozzano. Lido di Gozzano is located on Southern shore of Lake Orta. A wonderful setting for a spring beach wedding! For our team La Piccola Selva floral designer and photographer Noemi Mazzucchelli followed the event. 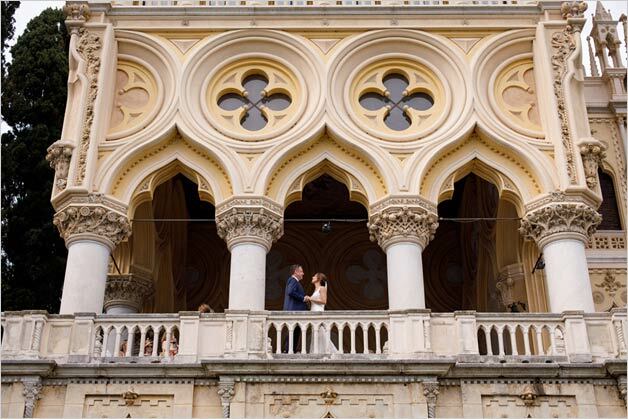 Let’s move to May the month of weddings in Italy and we have a quite a few to tell you about! 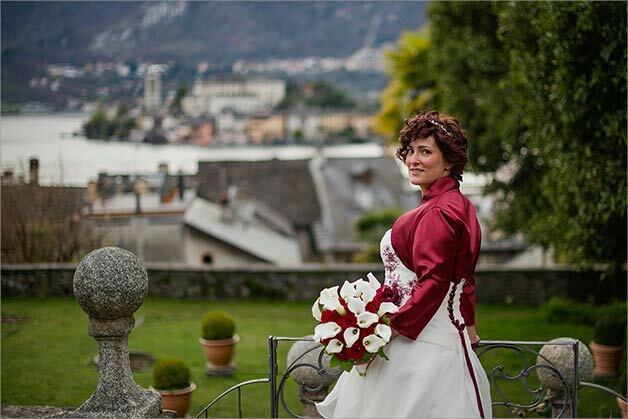 We move to Lake Como for a wedding planned by Alessandra on May 7th. 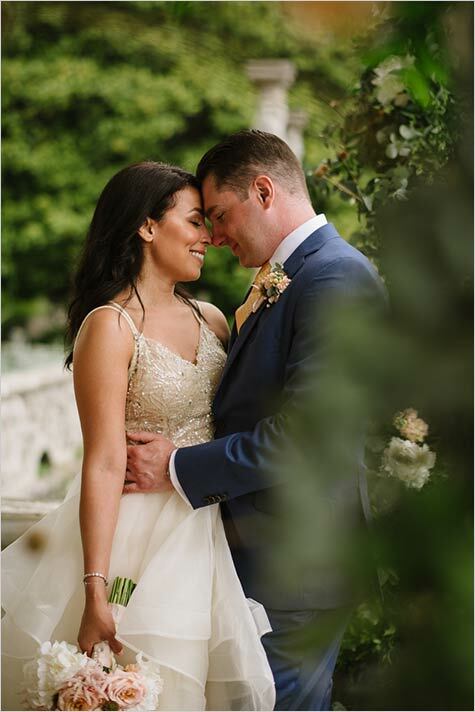 Hayley and Andrew eloped on Lake Como with only 2 guests as witnesses. They came from Australia to celebrate a very intimate and romantic wedding. 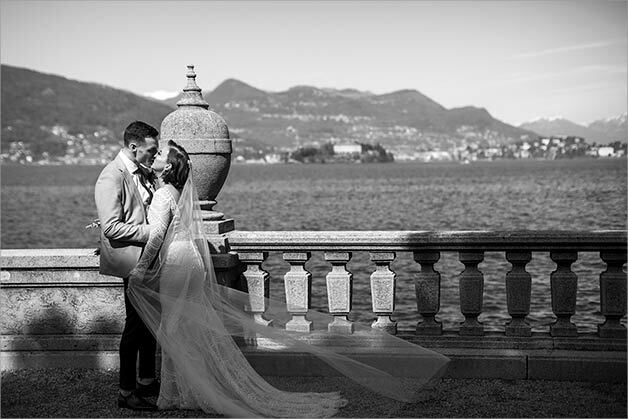 They tied the knot in Laglio at Relais Villa Vittoria with a romantic photo session at stunning Villa del Balbianello. As per his Scottish heritage groom wore his kilt. Bride was wonderful with her bridal bouquet perfectly matching other beautiful floral decoration. On May 9th we move to Piemonte Countryside! 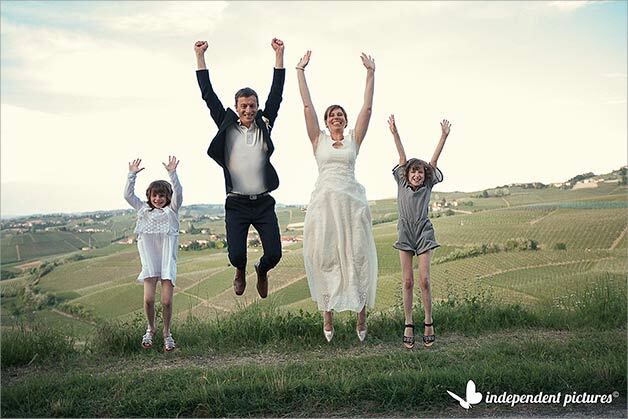 Anne and Michel eloped in Langhe the amazing wine land in Piemonte Countryside. They came from France with their two little guests: their wonderful daughters. Valentina followed the event for us!. 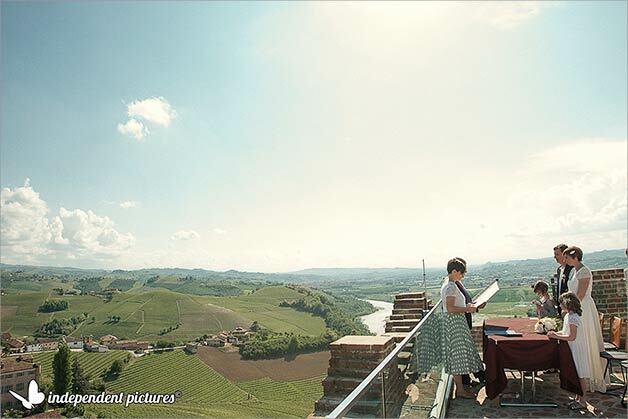 The civil ceremony was celebrated on the very top of Barbaresco tower enjoying a stunning view over the countryside. This is just paradise!! After the ceremony they enjoyed a fantastic toast with mayor of Barbaresco in a local vinery tasting amazing Piemonte wines. Great photo sessions to follow in the vines and a romantic yet relaxing family dinner in a restaurant of Barbaresco overlooking the hills. This wedding is also featured on Italian Country Wedding site. On May 12 our team was busy with two weddings. For the first one we move to Rome. 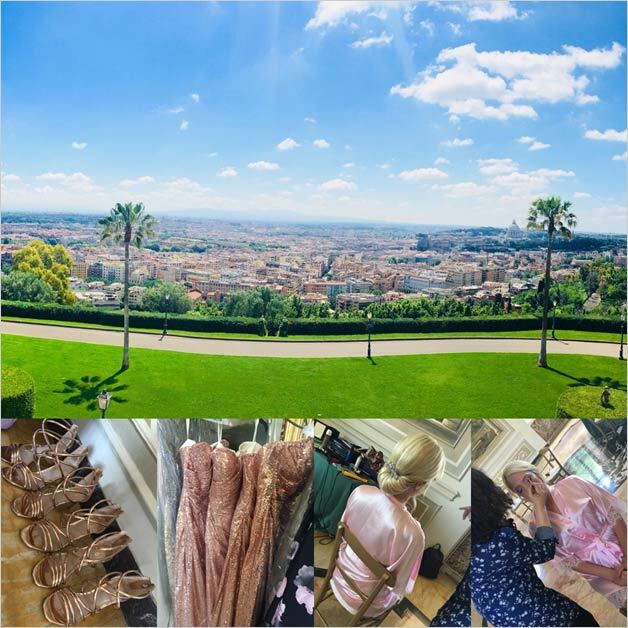 M&S tied the knot at Villa Aurelia one of the most exclusive venues in Rome! The venue is just amazing with a breathtaking view on Roman skyline. Villa Aurelia is an historical building owned by American Academy in Rome. It was built back 1650 by Farnese family on top of Gianicolo hill. It was totally restored at the beginning of 1900 to be one of the most beautiful venue in Rome. M&S had a symbolic ceremony at the villa and reception to follow. Decor was based on pastel colours and the party was amazing with a live band, dj set and a fun photo booth in a vintage Wolksvagen van by Zingone at the Wedding. The second one was planned on Lake Orta by Valentina. Felipe and Juliane came from Brazil for their romantic wedding in the village. Colour theme was pale pink arranged in a very romantic style. 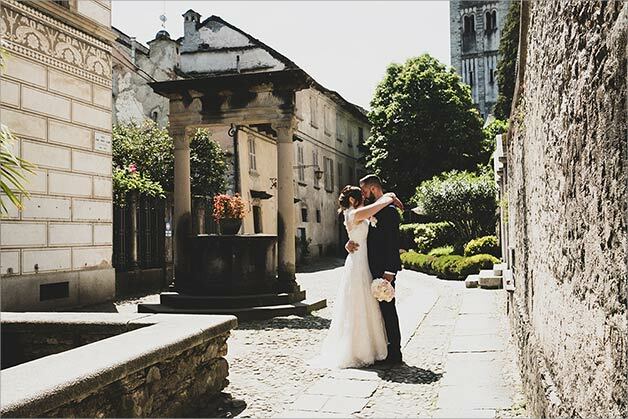 Felipe and Juliane opted for a Roman Catholic ceremony at Maria Assunta church in Orta with some lovely photos in the village to follow. For the reception bride and groom celebrated in style at Hotel San Rocco embellished with romantic fairy lights. Dj set made all dance for a great party! La Piccola Selva floral designer followed for us Valentina and Luca’s wedding on May 18th. 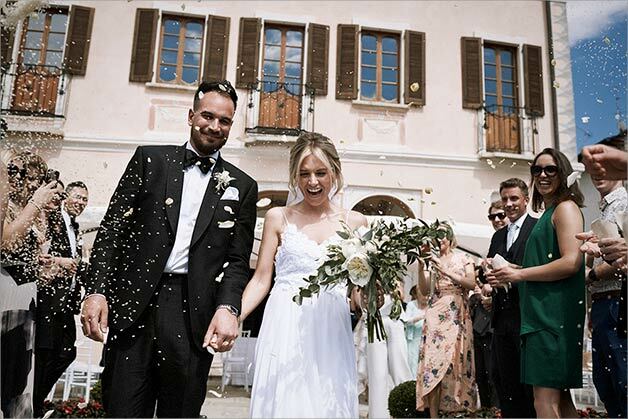 They chose Villa Bossi for their civil ceremony and a very chic and elegant reception at Villa Crespi. Simply wow! Paola by La Piccola Selva floral designer arranged a floral decor on big spheres made of roses and hydrangeas. 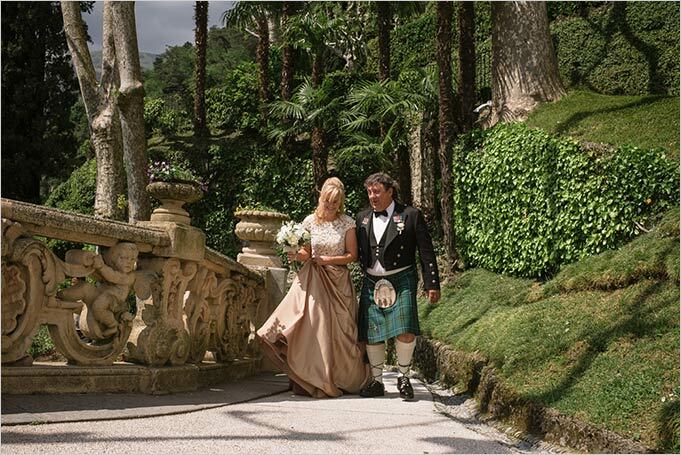 A very rich and refined arrangement enhanced by a white carpet at Villa Bossi to walk down the aisle. 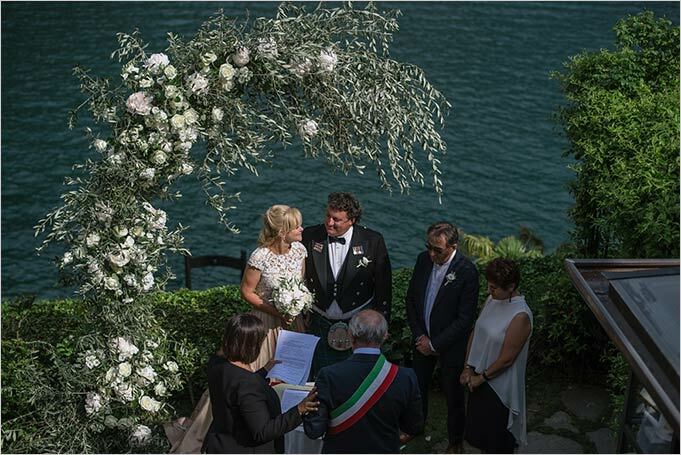 On May 19th Valentina followed a very intimate wedding on Lake Orta: Mariana and John’s special day. A very small group coming from US celebrated a very intimate Roman Catholic ceremony at Maria Assunta church. Bride and groom decided for a photo session in the village and then on St. Julius Island. For their celebratory meal they opted from Hotel San Rocco a romantic outdoor dinner overlooking the lake. We move back to Rome for Pamela and William’s wedding on May 24th. 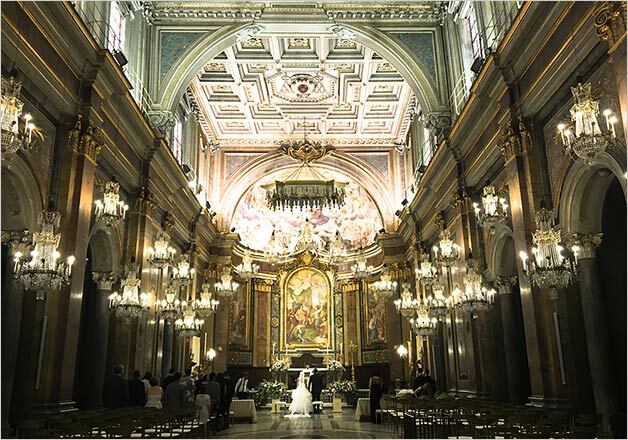 They chose a Roman Catholic Ceremony in one of the most beautiful churches in Rome: Church of St Giovanni and Paolo. This church is simply amazing. The basements of the church were set back in Ancient Romans times and during the centuries it was embellished with frescoes and paintings. A fantastic set for a Roman Catholic ceremony in Rome! 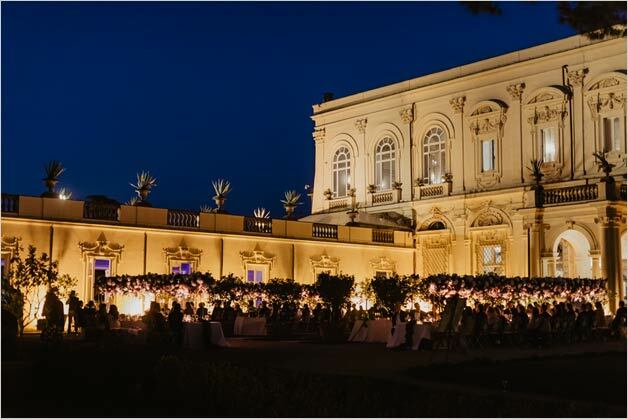 For their wedding reception they opted for another stunning venue in Rome: Villa Miani. The villa has a fantastic view over Rome skyline and the setting is simply gorgeous. For their floral decor they opted for high candelabras with roses. Party went on up to late at night with a great dj set. On may 25th we get back to Lake Orta. Valentina followed Katy and Stuart’s wedding. A lovely couple for a chic wedding on a warm day of May. For their civil ceremony they opted for Villa Bossi. Katy wore a very chic summer wedding dress with wonderful big heels wedding shoes. She had romantic white and greenery bridal bouquet and lots of candles for their wedding reception planned at Hotel San Rocco to follow. The party was really great with a dj set and some more drinks to a local bar in main square in Orta village. On 27th May we move to Lake Garda for Jennifer and Paul’s wedding planned by Katiuscia. 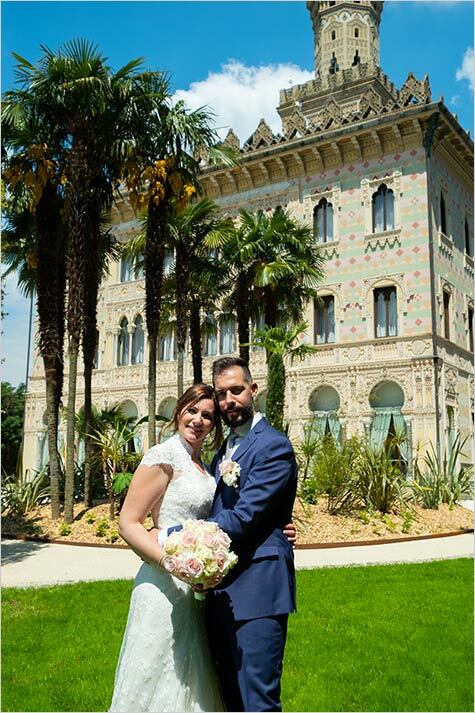 Bride and groom and their guests came from UK for a romantic civil ceremony at Isola del Garda. After the ceremony bride and groom got on a boat to have a lovely tour on the Lake. 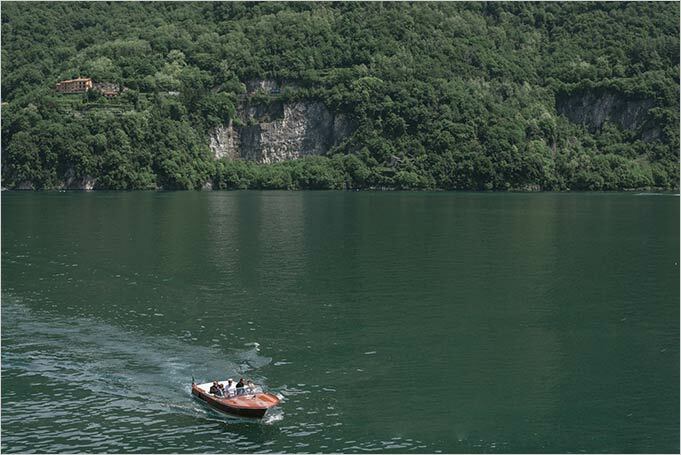 A transfer by boat is always a great occasion to enjoy special views on Lake Garda. Reception to follow was planned in a romantic restaurant on the shores. 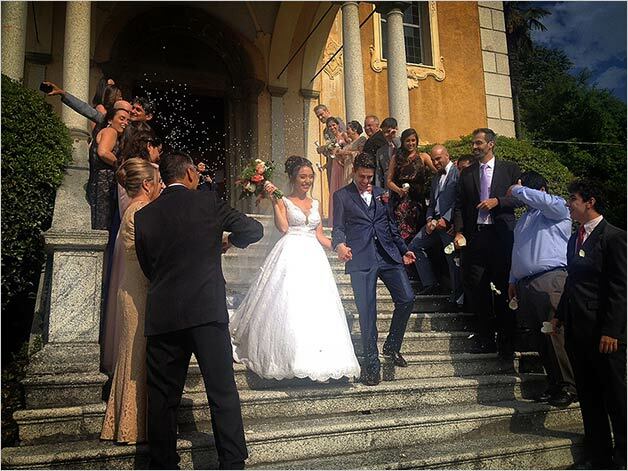 On 28th May Valentina followed another romantic wedding on Lake Orta. 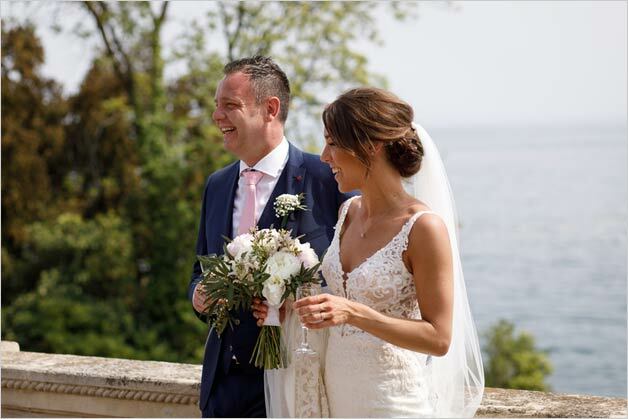 Caroline and David tied the knot at Villa Bossi with a lovely outdoor civil ceremony. As tradition wants bride arrived by boat and she was accompanied by three very young bridesmaids. One of them was Caroline and David’s beautiful daughter who scattered petals walking down the aisle. The other two had two wonderful “magic wands” with flowers instead of a bouquet. Little girls loved it. It was a red themed wedding. Caroline had a teardrop red roses bridal bouquet and red roses were also used for centrepieces and magic wands of little girls. A touch of red was on Caroline and her daughter’s dress too. 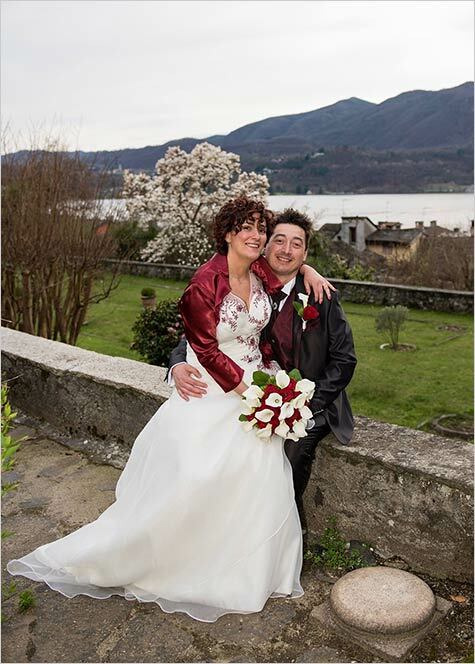 We planned for bride and groom some photos on St. Julius Island and a romantic reception at Hotel San Rocco to follow. We had another special event on that week end of May. 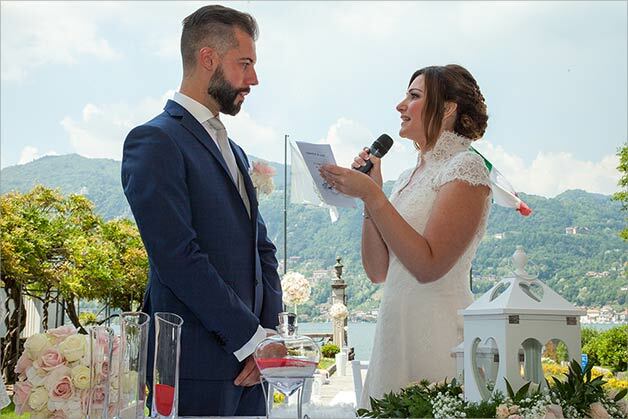 Suzy and Adam had their special 10th anniversary vows renewal on Lake Maggiore. Valentina, Silvia and her Team planned the event. 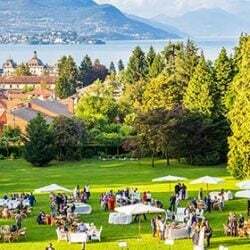 The outdoor blessing was planned in the garden of a lovely hotel in Baveno just on the shores. The setting was dreamy with a special view and a romantic spot under the trees. It was a lovely group with a lot of kids and a lot of fun. Suzy wore an elegant evening gown and Adam was really handsome in his cocktail outfit. The floral decoration was full of colours and different shapes and flowers. Very chic. A rich aperitif followed the ceremony and then a dinner inside the charming rooms of the hotel. Lots of fun and dances and lots of lights. 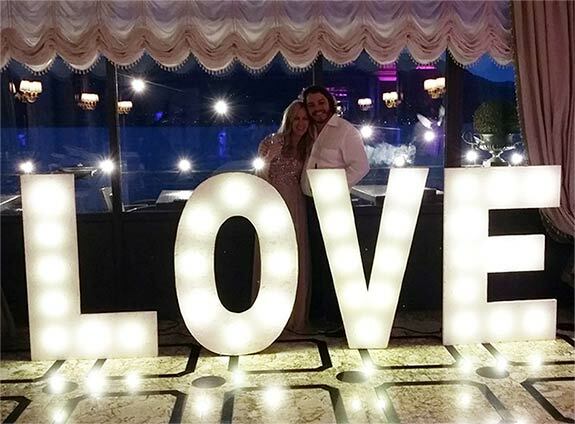 Fairy lights LOVE light sign were the main characters of the evening party! 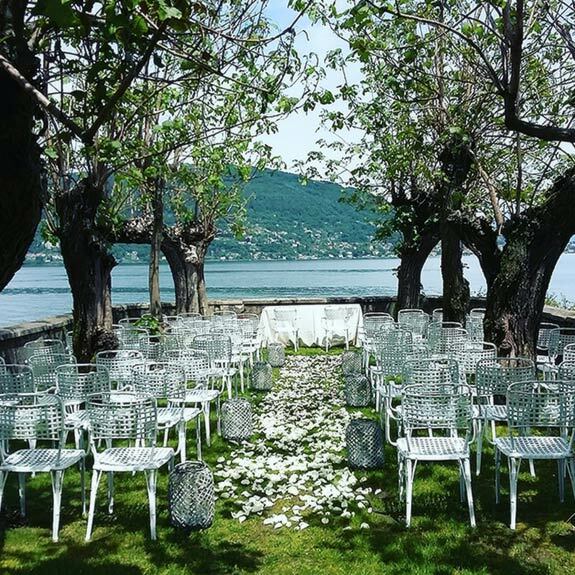 We close our season kick off Just Married post with a wedding on Lake Como. 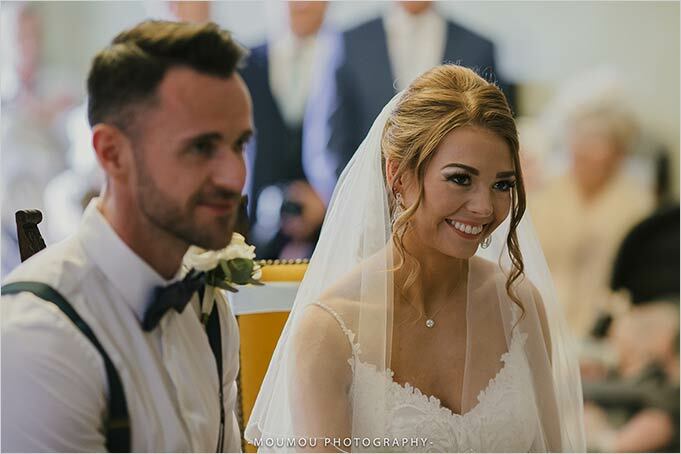 Alessandra followed Laura and Christopher’s wedding on 30th May. 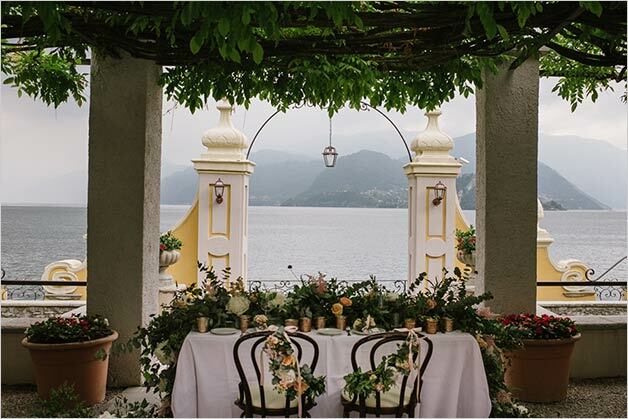 They planned an intimate wedding at Villa Monastero in Varenna a brand new wedding venue that we are pleased to show you for the first time! This was the very first wedding we planned. Proud to be the first ones! A small intimate group for a refined celebratory meal and lots of wonderful floral decorations. Wedding meal was planned at Hotel Royal Victoria. The hotel has been recently renewed and you can see it here in all its beauty! And this is all for April and May but more to come for June weddings… many events on their way! We are looking forward to tell you all the stories. Thanks as usual to bride and grooms who chose us and all wedding professionals who helped us to create this beauty! Just Married April and May 2017 – We are back for a fabulous wedding season! 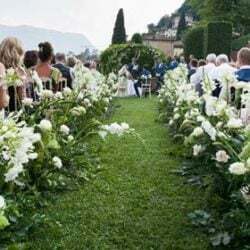 Just Married June 2018 – Great Summer Wedding Events all Across Italy! Just Married September 2017 – Closing a fantastic Wedding Season!